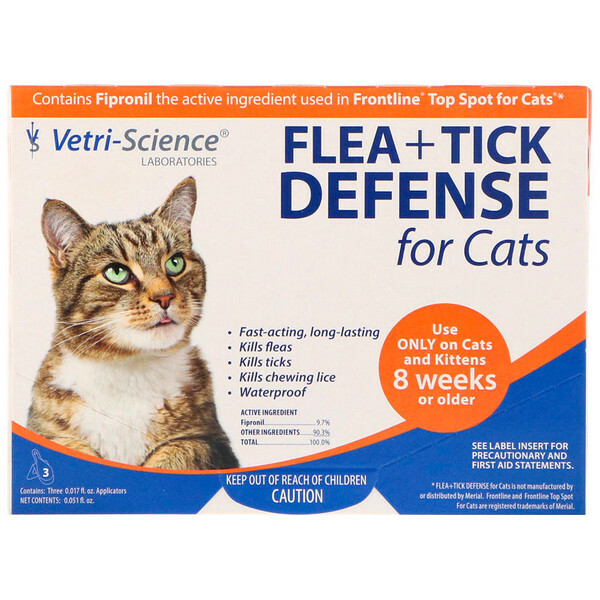 Flea+Tick Defense for Cats contains the active ingredient fipronil that effectively targets fleas, ticks, and chewing lice. 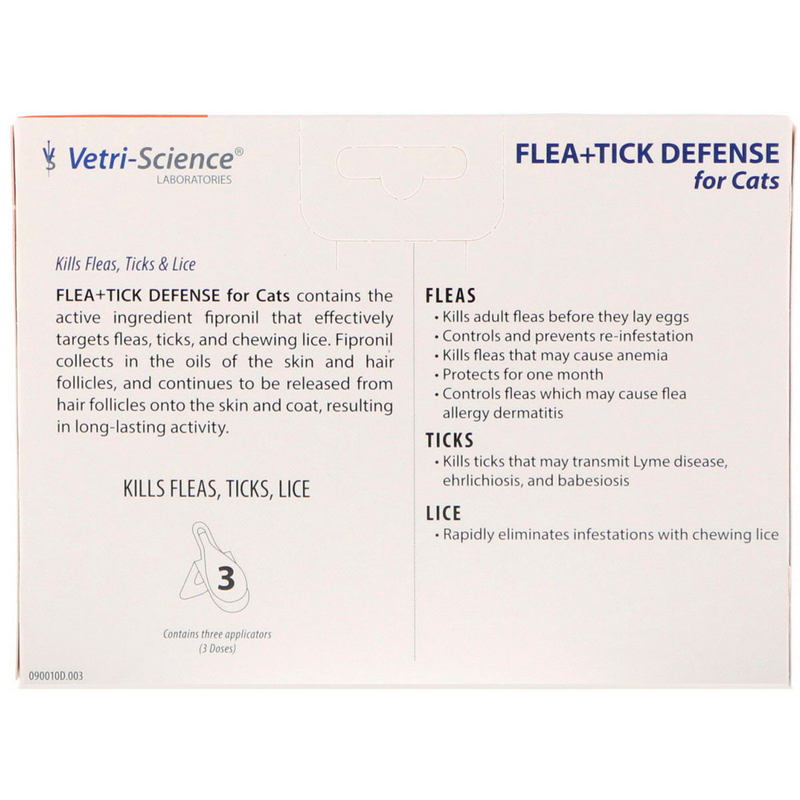 Fipronil collects in the oils of the skin and hair follicles, and continues to be released from hair follicles onto the skin and coat, resulting in long-lasting activity. *Flea + Tick Defense for cats is not manufactured by or distributed by Merial.